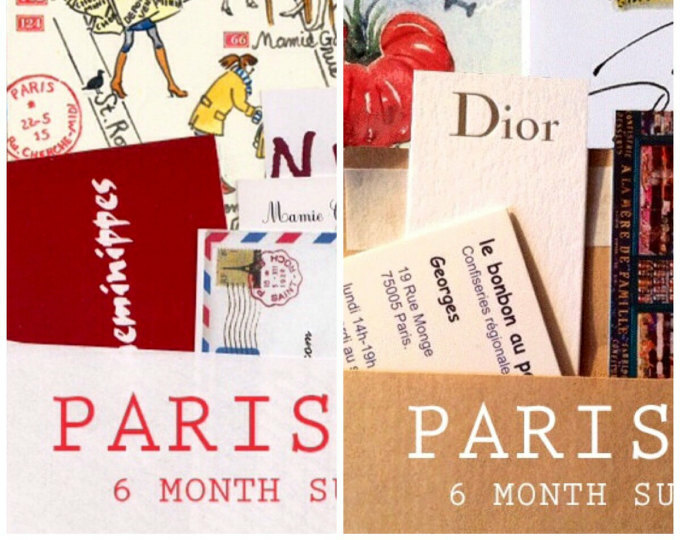 While prepping a sneak preview of April's Paris Sketch letter, I discovered a little noted fact. 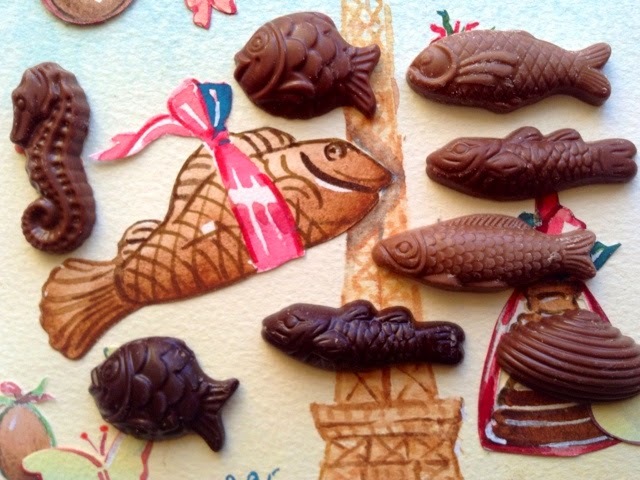 Les fritures - the mini chocolate fish shapes specially eaten today, the 1st of April (poisons d'avril) are all facing left. 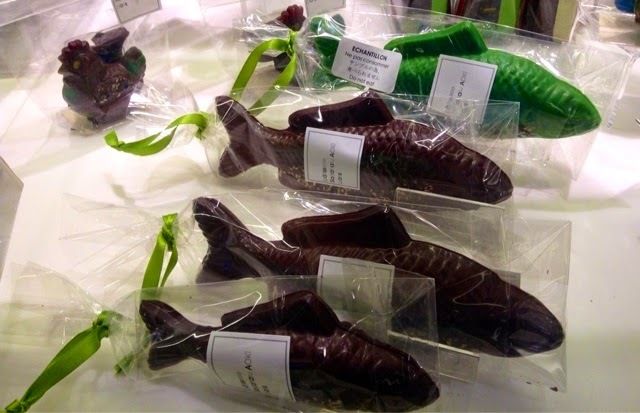 Many Parisian chocolate fish for Paques(Easter) have leftist leanings. Jean-Paul Hevin's fish are left-facing and quite realistic, though I couldn't possible identify the species. Can you? Even with the added brightly-colored bows. His ganache-filled fish are classic Sardines. Hevin's elegant chocolate scallop bivalves are not letting on their political preferences. 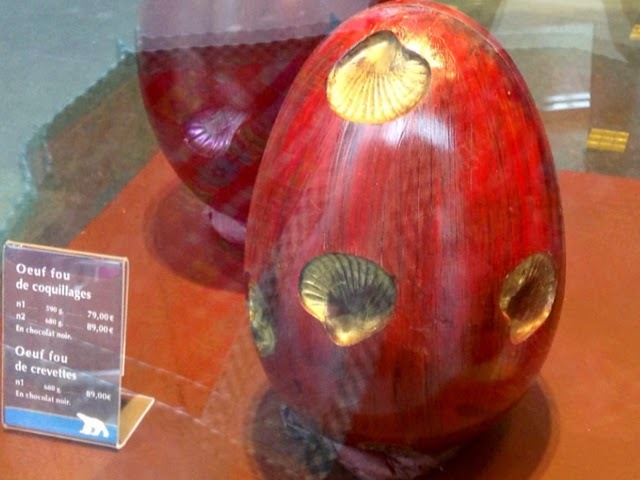 This glorious Hevin huge chocolate egg is embossed/engraved with gold scallops. 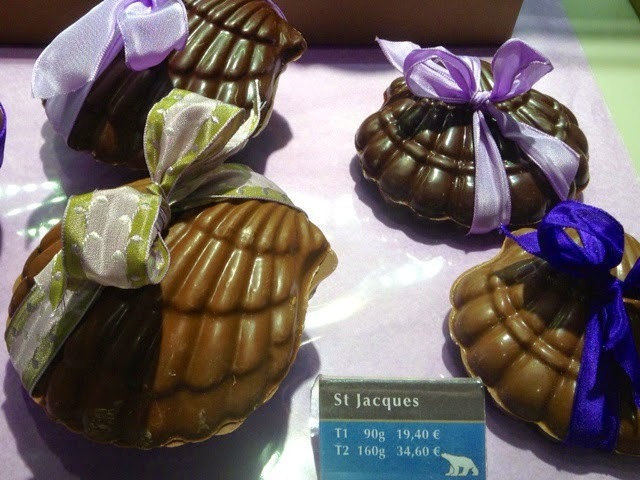 Eggs and seafood go together at Easter in Paris, as long as they're chocolate. More fish facts. 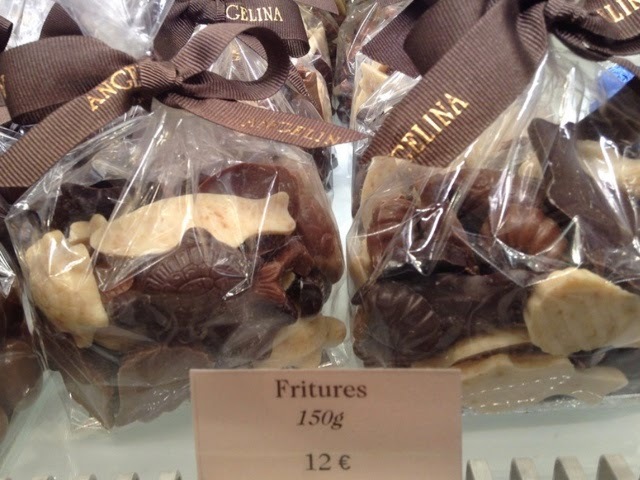 You should know almost all larger French chocolate eggs, rabbits, bells are hollow molds, are held together with ribbon and filled with mini flat chocolate fish (garnis de fritures). 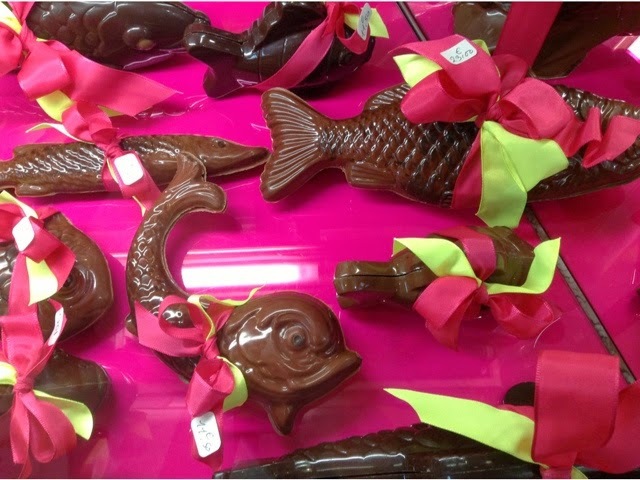 Except here, the little fish are double-sided and filled with praline. It should also be noted that Angelina, so far, is about the only place you'll find a mixture of milk, white and dark fritures(mini fish) in case you lean in that direction. Gerard Mulot is offering a wider variety of fish I'm happy to report. Though they may appear to be facing to the right, don't forget they are two-faced so can swim both ways. 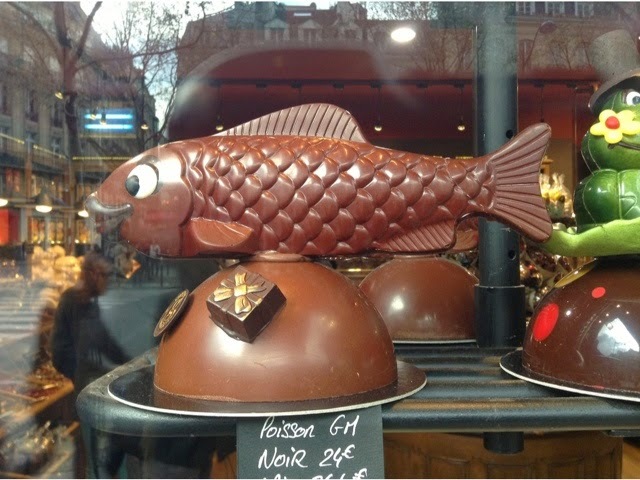 Chocolatier Sadaharu Aoki is Japanese so may not be aware of the importance of French fish orientation. 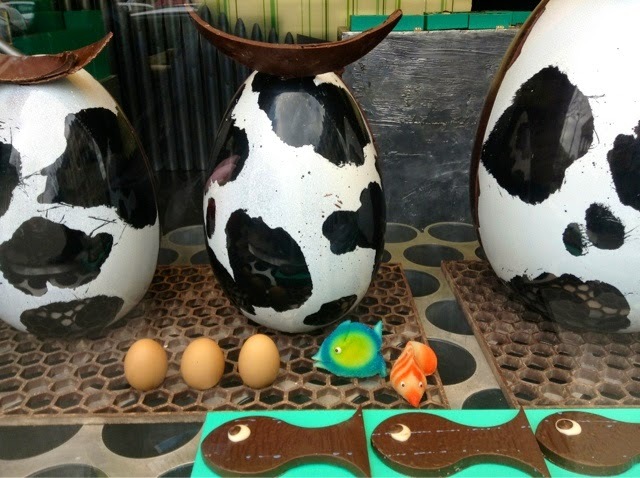 Chocolatier Patrick Roger is mainly focused on gigantic cow-eggs. 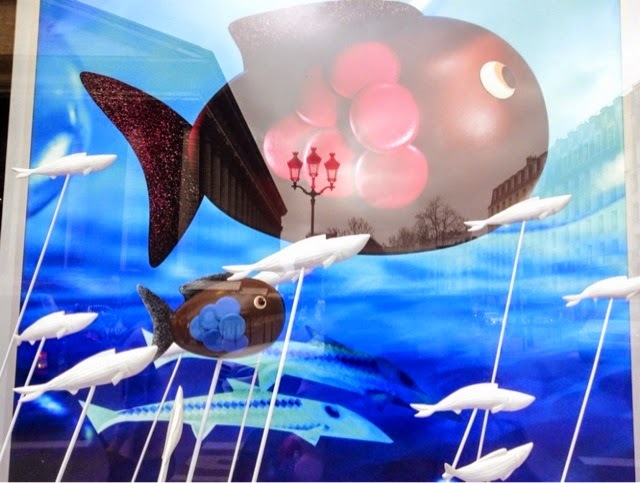 For total fishy immersion head over to Fauchon Madeleine. 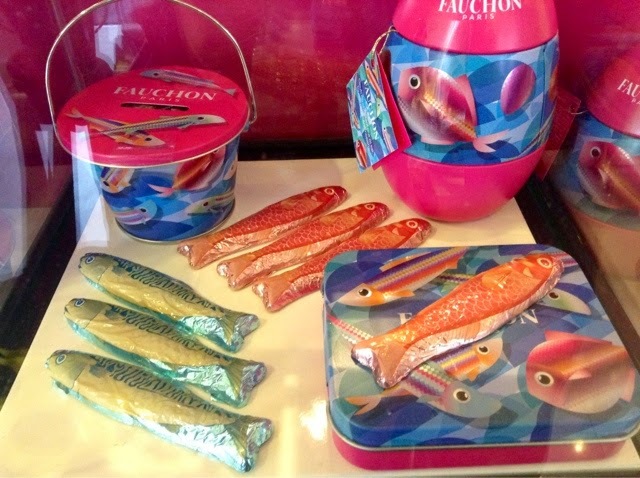 Mini-sand buckets, sardine cans, you name it at Fauchon - Paris' fish central. Here fish swim both ways. Non-political fish? 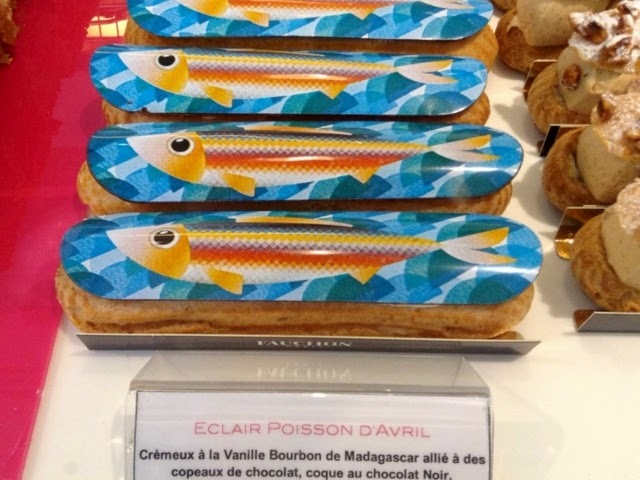 A special fish éclair for poisson d'avril. 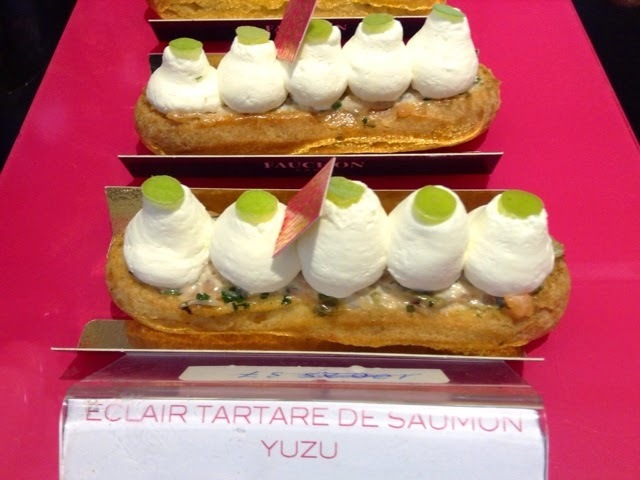 In Fauchon's savory department you'll find eclairs of real fish flavors. 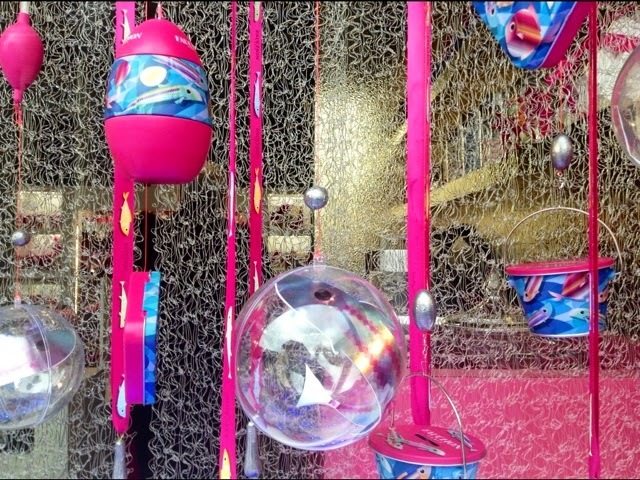 Last night Solli and I made like fish in aquagym class at piscine Saint-Germain. I need to do this daily! 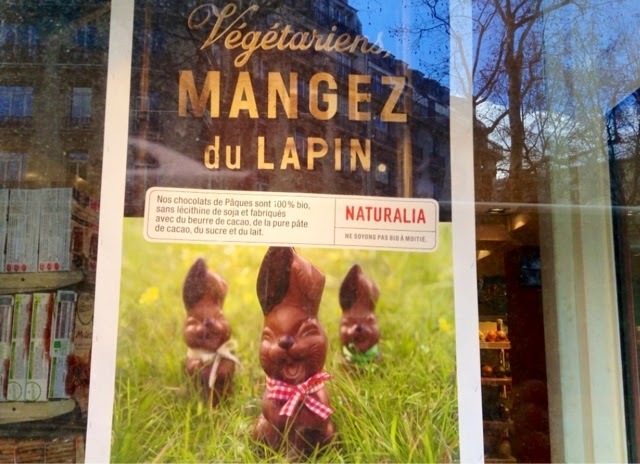 Health food chain Naturalia would like you to eat rabbits for Easter as long as they're chocolate. 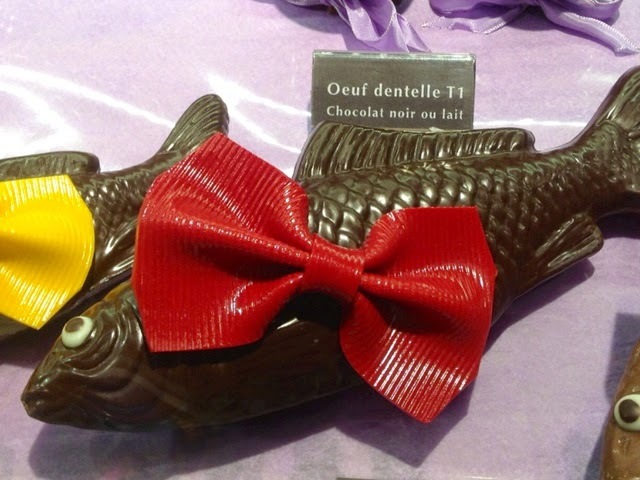 Happy Poisson d'avril to you PBers! 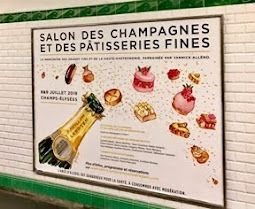 Your poisson is my fave..Wow..it really is a big deal in Paris..Fun to make something out of every occasion..I wonder if Mtl follows suit? I have never been on April 1rst. 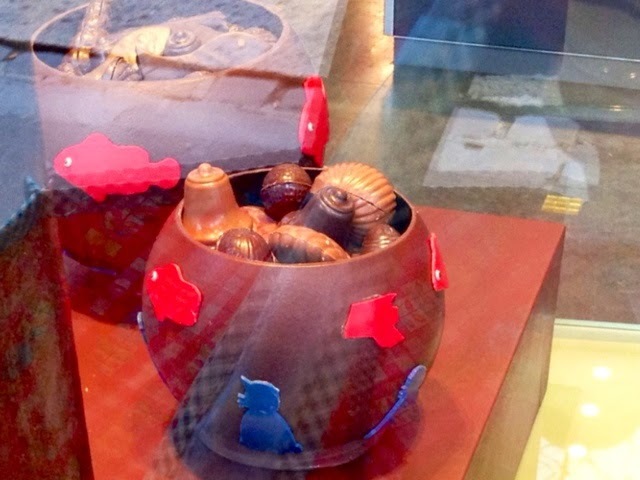 Would love to see a chocolatier's chco molds.. I organized a few of mine yesterday..Spring cleaning and all that.Very exciting. 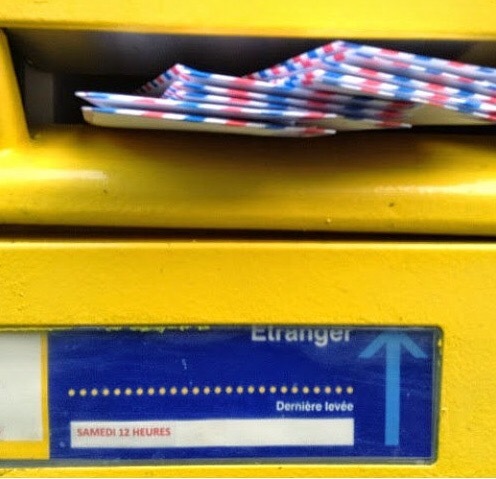 En français c'est une carpe !!! Have you ever seen any of the vintage postcards with photos of the actual fish and their ribbons? Thanks for the lesson on the leftists. Hadn't noticed before. 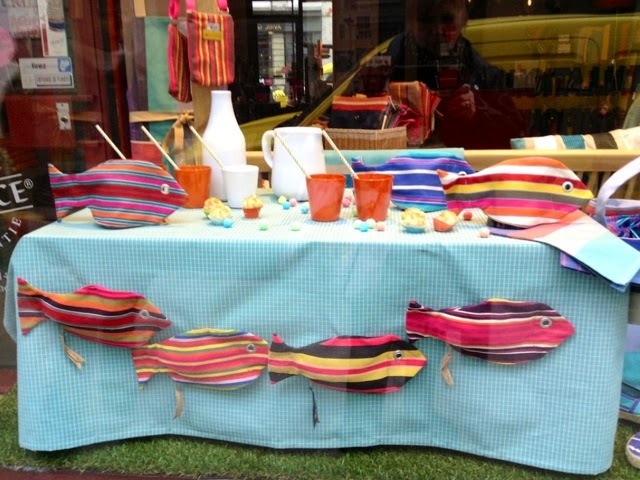 There is something very fishy about this posting today! Thought you would all enjoy this equally dubious report. I am now officially ready to go stick fish on people's backs. They won't know what it means but that never stopped me before! LOVE the eclairs to the max! 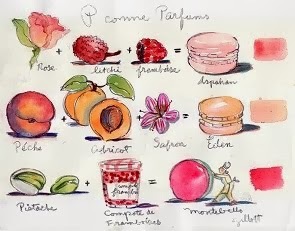 This kind of investigative reporting is exactly why I love you, Paris Breakfasts! 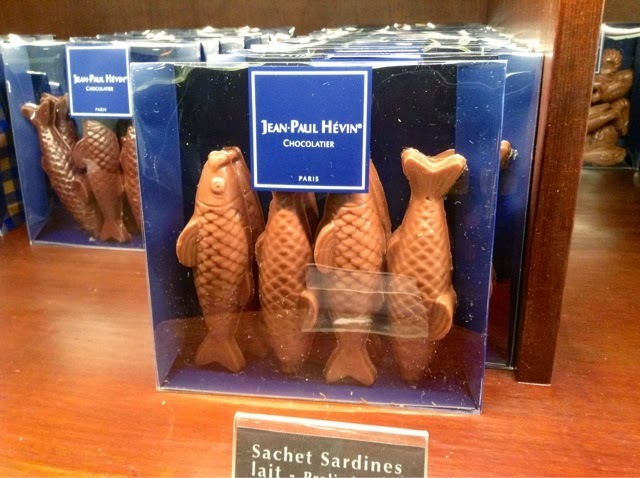 I live in a very Republican state and I intend to survey all the chocolate fish for their political leanings. Gorgeous post as usual, but today's fish post seemed so luscious and made me drool. You make everything over there seem so beautiful. I like all the information on the fish!!!!!!!! April 1 here is full of jokes and riddles and pranks!!!!!! Oh Carol, it won't be long now. Today is Wednesday, so it's only Thursday, Friday, Saturday, and then...Happy Easter. Always a day of joy, and for me, the day that chocolate returns to my life. Oh i thought you were coming to PARIS !!! What a sweet thought, dear Carol! 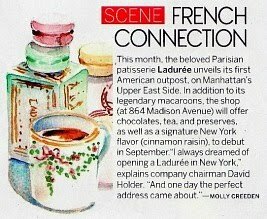 The Fauchon Madeleine shots are real eye grabbers :) I like the colored sardine éclairs, too. I could eat a ton of those right now! Very hungry here & you're not helping! I am a little bit late on the subject but for what is worth, "fritures" is the symbol of Lake Tiberiade miracle fishing. It's why you can see it everywhere one week before Easter. I don't know why the friture is turning-left but I guess it's coming from the first christian symbol, the ITCHUS you can see on paschal candle wich is usually turning left too. 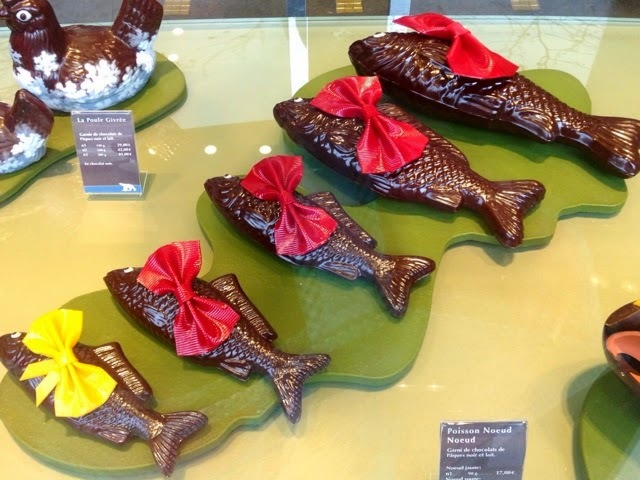 Did you know the 1st of April fool is born a very long time ago and marks the Careme diet beginning, when people can eat only fish (no meat) and the habit to give false paper fish was more like a gift before become a joke ?